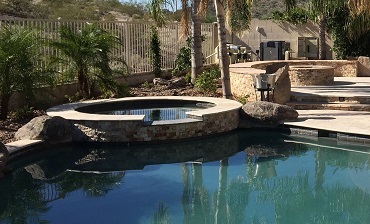 North Star Pools provides poolscape designs that are custom made, beautiful and exclusive. 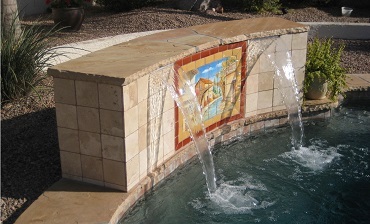 These designs are provided by no other pool company. In fact, if you have an idea in mind that other pool construction companies say they can’t do, give us a call. All services are available for both private and public pools. A poolscape includes all the soft and hard structures, plants, rock structures, etc. that are part of the swimming pool and immediately surrounding the swimming pool. North Star Pools also provides Landscaping. Explore these multiple options to get ideas and inspiration for creating your dream pool. If there is a pool feature that you’d like to be part of your pool that is not listed below, feel free to tell us. North Star Pools uses the latest software to design your pool and your surrounding landscape. Read more about the Pool Design process. Add a slide to your swimming pool for extra fun and recreation. 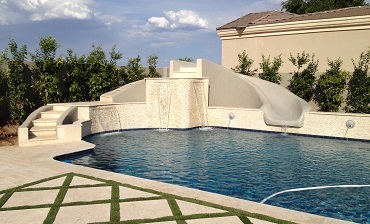 These pool slide designs are exclusively provided by North Star Pools. 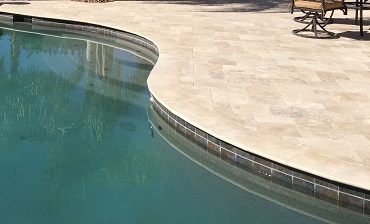 Although “deck” often refers to wood structures, pool decking is the area immediately surrounding the pool which can be made with stone, tile and other hardscape. 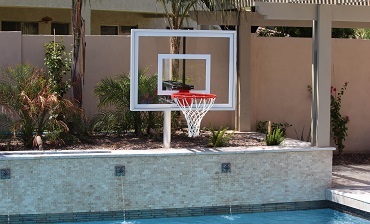 Provide recreational activities at your pool parties by including a diving board, basketball hoop or volleyball net. Water features, such as waterfalls and water fountains, will give your pool a majestic appearance. 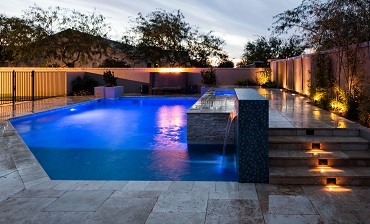 Set the mood around your pool at night with the ambience that is provided by interior and exterior lighting. 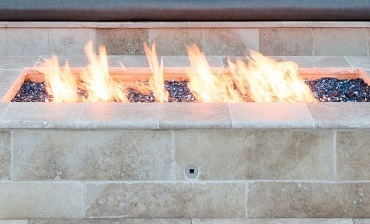 These unique torches and other fire features will add a distinctive flare to your pool design. 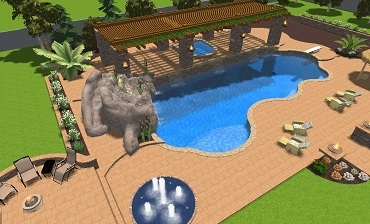 For additional pool design options, see also Interior Tile Designs, Rock Structures, and various Landscaping options. Looking For Beautiful and Exclusive Pool Designs? Contact our office in Gilbert, AZ to submit a business inquiry online.